Custom closets provide several practical benefits like keeping your items well organized, limiting clutter, and maximizing your space. But more than just being functional, you also want your closet to look attractive. At More Space Place Jacksonville, we offer the largest selection of materials, finishes, and door styles to transform you closet into an elegant and useful area. While our Mod Series fits well in a contemporary setting, you can also pair it with an upscale, traditional style by using molding. Smooth out the blunt lines of your closet with crown molding and dentil accents. This transforms it from a just-installed look to having it blend in with the rest of your home. Add extra flair with rope or fluted columns. Roped and fluted columns, crown molding, and dentil molding were all used in ancient Roman architecture. Incorporating these into your closet can add a similar look of luxury. Be careful not to overdo it though. The goal is to create an elegant border rather than be overpowering. In addition to incorporating classic moldings, consider all the door styles More Space Place Jacksonville offers. Choose from 18 styles in real wood or laminate, and further customize the look with endless color options. Mullion doors with glass inserts can add elegance, while keeping your items visible. Depending on your color palette, choose from our three metal finishes: satin nickel, oil rubbed bronze, and polished chrome. Perhaps you want your handles to act as accents against a dark cabinet color. Then opt for the lighter metal options, such as nickel or chrome. Alternatively, pair lighter or darker finishes so they blend in with your selected wood color. Lastly, consider whether you want the shine of polished chrome or a matte finish. All these features and more will help build a completely unique, personalized, and stylish custom closet. 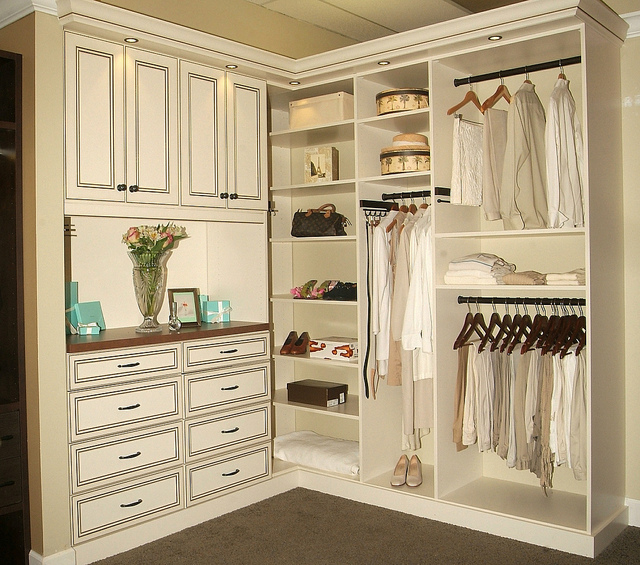 If you are looking to transform your closet into a functional and elegant area, call the experts at More Space Place Jacksonville. Schedule a free, in-home consultation with our Design Consultant. 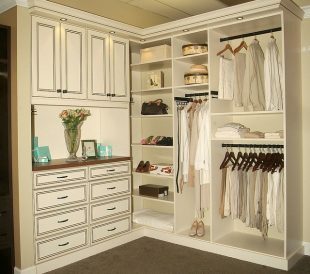 We’re happy to help you design a beautiful new closet that fits perfectly with your home.